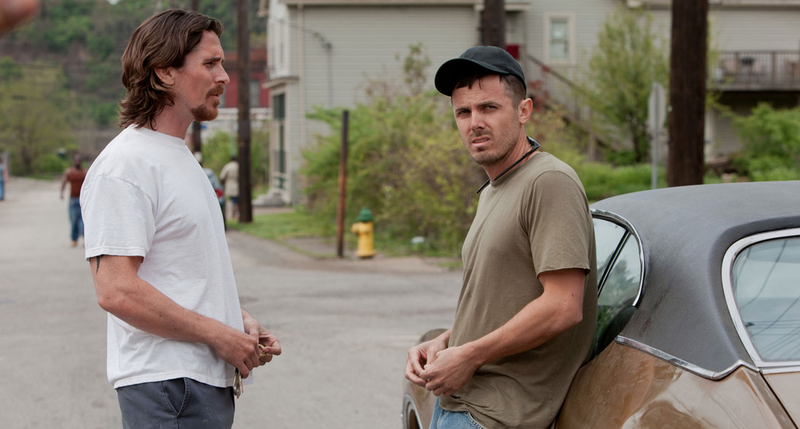 I knew absolutely nothing about Out Of The Furnace before choosing it as my next cinematic adventure. What compelled me to take a chance on the film whose trailer I had not even seen was the impressive looking cast list, Christian Bale having recently entertained me in American Hustle and others such as Forest Whitaker and Woody Harrelson being the stars of some of my favourite films of all time (yes, I am seriously referring to White Men Can’t Jump). From the first ten minutes it was clear that the film was going to be of that gritty American, blue collar breed alongside the likes of Winter’s Bone and The Fighter. Out Of The Furnace tells the story of two brothers, Bale and Casey Affleck, whose lives are irreversibly damaged by prison sentences and military tours in Iraq respectively. Feeling the impact of his time serving abroad and at a loss for what to do with himself at home, younger brother Rodney (Affleck) becomes involved in the shady and dangerous world of bare knuckle fighting with a lawless community of drug dealers up in the Jersey mountains. Upon serving prison time for vehicular manslaughter, Russell (Bale) attempts to save his brother from the increasingly treacherous path on which he has found himself, leading the film in to an unavoidable spiral of violence and destruction. The problem is, I have seen every single element of the narrative done, and done better, in numerous other films before. The plot, though at times tense and action packed, is so unoriginal that the picture leaves an incredibly underwhelming taste in the mouth. They say that familiarity breeds contempt, and this is certainly the case with regard to Out Of The Furnace, as before the forty five minute mark, and thanks to my experience of this particular kind of thriller drama, I could predict exactly what was going to happen with pretty much perfect accuracy. Every single plot point was so painfully signposted that the thrill of surprise related to the genre was completely lost. At just under two hours in length the film also began to outstay its welcome, there is only so much masculine posturing and staring in to the void that one can take, and I feel that the plot may have been a little more bearable had twenty or so unnecessary minutes been sacrificed to the cutting room floor. The theme of masculinity is something that the picture relies heavily on, and there is an art and subtlety to asserting male stature and dominance that Out Of The Furnace attempts to convey with much too heavy a hand. The grunting, scowling, spitting and eye narrowing produced by the majority of the characters begins to border parody, and it becomes rather overwhelming in what is undoubtedly a male dominated film. What makes the film watchable, at least, are the central performances given. Christian Bale brings a certain gravitas to every role he plays and his turn as Russell Baze is no exception. A full range of emotion is displayed throughout the narrative and it is to Bale’s credit that he can navigate the audience through an annoyingly predictable storyline and manage to keep them somewhat invested where lesser actors may have lead them to lost interest far before the half way point. Casey Affleck’s portrayal of Rodney, a war haunted man without purpose is believable enough, his childish face combined with a soldier’s stature and physique evoking a jarring sympathy for the character who is on the path toward self destruction. The stand out turn for me, however, was Woody Harrelson as the drug peddling, drug using, morality lacking leader of the mountain community, Harlan DeGroat. The film opens with a rather upsetting scene involving DeGroat and the abuse of a female companion, and this sets the tone for the kind of vicious portrayal Harrelson maintains throughout the narrative. This type of role is one that I have rarely seen Harrelson play, and to see his usually friendly and jovial face so stoic and menacing was extremely effective and the highlight of the film. Overall, Out Of The Furnace certainly is not a release to go out of your way to see. The strong and evocative performances from the actors mentioned provide the picture with some merit, but characters can only do so much in a film whose plot is so unoriginal and uncreative. The predictability of the narrative turns to film from an exciting thriller in to an exercise in just how long your patience can last. I pride myself on my patience when it comes to the cinema, but even I began to twitch in my seat as the plot unfolded in the exactly the way I imagined it would. There are far better thrillers of this kind out there, and even though I have rightly praised a few stand out performances in Out Of The Furnace, I suggest you save yourself some time and go straight to those instead. Fantastic film. So glad I went to see it. Ah, a shame, especially considering all of the fine actors in this film. But I will take your advice and watch a different thriller instead! Are there any that you would particularly recommend? It gives more than a few nods to The Deer Hunter throughout, and it also shares some the male, brotherly themes of The Indian Runner. There’s also a similarity in tone with Prisoners, which whilst being equally as contrived in parts, is much more fun to watch! Hey, nice review! I completely agree with you! 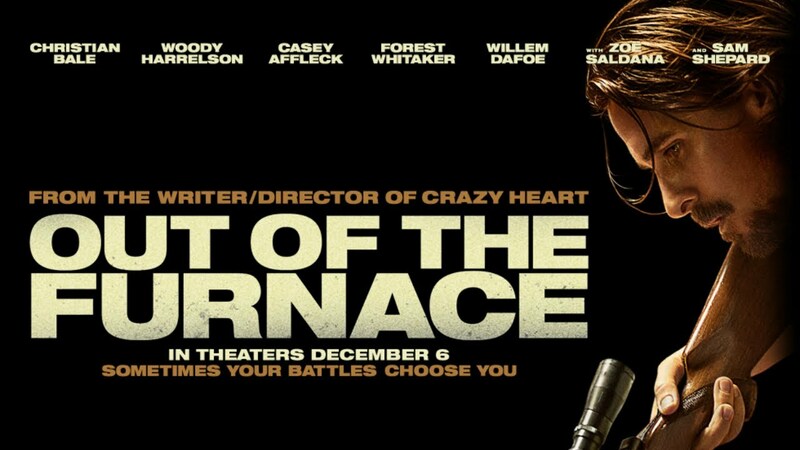 Out of the Furnace is overall a very dull movie. It’s a shame the movie wastes such awesome performances. Great review, I’m really not sure if I’ll go and see it but this review has probably made up my mind for me! The cast is what really makes this more than just a traditional thriller, without much more to say than just revenge, and leaving it at that. Nice review Amy.